Girls Class B State Semifinal Game. Friday, March 16, 2018 in Calvin College's Van Noord Arena in Grand Rapids. 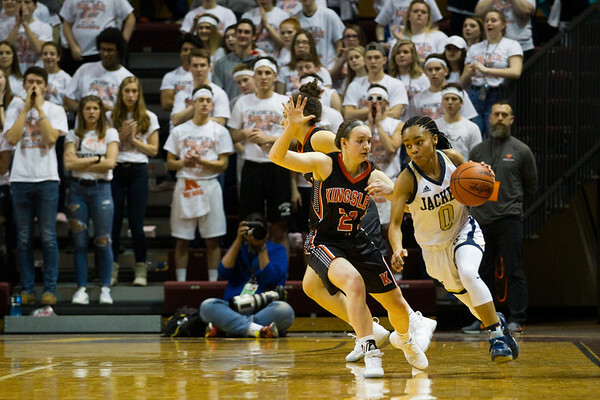 Kaela Webb (0) in the second quarter of Friday's class B state semifinal game at Calvin College in Grand Rapids.